Brian Inkster (pictured) addresses yesterday’s response from Colin Souter to criticism the latter had received. 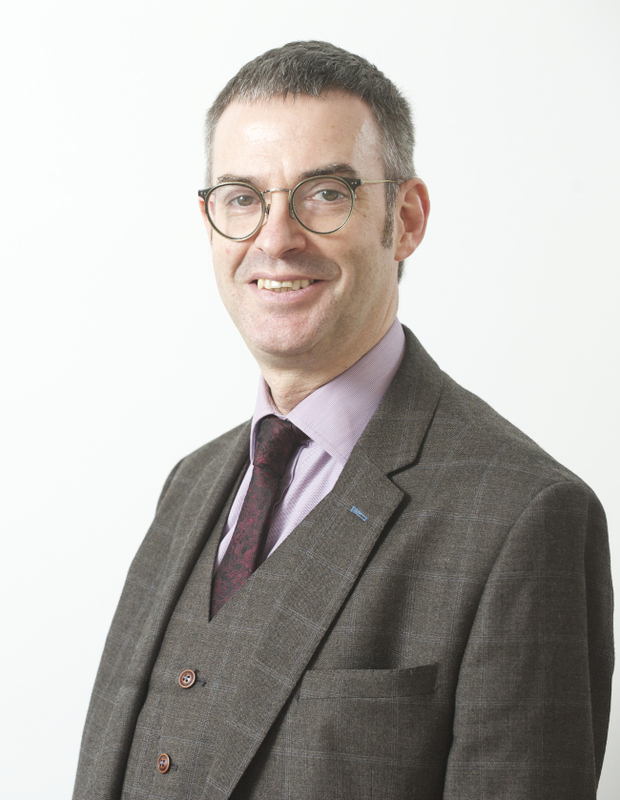 Colin Souter responded yesterday via Scottish Legal News to my concerns regarding the Crofting Commission investigating the legality of VAT registration of Grazings Committees. My views attacked the Crofting Commission on this issue and called on an investigation by Fergus Ewing MSP, as cabinet secretary responsible for crofting, into what I considered could be dubbed ‘VATgate’. It seems rather odd that a grazings ‘constable’ purportedly appointed by the Crofting Commission to manage the affairs of one particular common grazings on the Isle of Lewis should be acting as spokesman for the Crofting Commission on the issue. That is surely the responsibility of the Convener of the Crofting Commission. That Mr Souter saw fit, at the same time, to draw to the attention of many solicitors that he considers them not entitled to be paid for legal services provided to shareholders in a common grazings is bold indeed. Firstly, it must be remembered that I do not consider Mr Souter to have been legally appointed. Indeed it has been shown that the Crofting Commission acted contrary to its own legal advice in making the appointment. However, having made an illegal appointment the Crofting Commission are of the view that they cannot revisit that ‘final decision’. On the basis that I do not recognise Mr Souter as having any legal standing whatsoever I am not about to respond to his demands to repay to him fees legitimately paid to my firm by a properly constituted grazings committee following the provision of legal advice to them. Mr Souter has threatened to raise a small claims action against my firm and I am more than happy to see him in court. He is well aware that in such circumstances the Crofting Commission will be brought in as a party and there will be a counterclaim for the time, inconvenience and costs caused to me unnecessarily by Mr Souter. A right for crofters to instruct lawyers does not need to be contained in tablets of stone within the Crofting Acts. It is a fundamental human right. Magna Carta would be a good starting point for Mr Souter to look at! So even the Crofting Commission acknowledge and accept that shareholders can and should seek their own independent legal advice. Where on earth does Mr Souter get the idea from that they can’t? I will now return to the original and more important question involved, namely VAT registration of Grazings Committees. Mr Souter refers to me as “an expert on the subject”. I have, for the avoidance of any doubt, never been and certainly would not profess to be an expert on tax law or any matter concerning, in particular, VAT. My concern is as an expert in crofting law advising crofters daily on that particular subject. My concern is that the Crofting Commission whose function is to regulate and promote the interests of crofting may instead be actively seeking to deprive crofters of VAT receipts. VAT registration of Common Grazings was something that the Scottish Government insisted upon as part of entry into Woodland Grant Schemes. Did Mr Souter know that? Did the Crofting Commission advise their QC of that when seeking an opinion on the matter? Is the Scottish Government happy that Mr Souter and the Crofting Commission are challenging their policy on Crofters, Forestry and VAT? “Let us for the moment assume that Mr Souter was properly appointed a grazings constable. In that office he would be a trustee for behoof of the Upper Coll crofters as beneficiaries. As a trustee his duty would be to protect the assets and income for the beneficiaries. In the event that his blundering and unnecessary interference results in the abilty to reclaim VAT being lost he will be liable to reimburse the crofters for the losses. The measure of damages would be the total expected VAT reclaim lost from the date of his interference until VATable receipts came in. I have written to Fergus Ewing MSP expressing my concerns about this illegal ‘constable’ being allowed to wreak havoc by the Crofting Commission. I have copied my letter to Mr Souter out of courtesy. Mr Ewing has already had to rein in Convener Colin Kennedy. Now it is time for him to rein in another Colin.